If you are searching among Italian courses in Italy and you are looking for study abroad programs and Italian courses in Sicily, then we have it! The Centre for Italian Studies BABILONIA was founded in 1992 with the intention of offering the possibility to learn Italian in Italy in another part other than the traditional destinations for learning Italian in Italy to lovers of the Italian language and culture and to offer the opportunity to study Italian in Sicily. The Centre for Italian Studies Babilonia is the oldest Italian language school in Sicily and one of the oldest and most accredited Italian language schools in Italy. Their Italian courses can be language courses in a group or private lessons. The Italian language school in Taormina, Sicily, offers study stays from one week up to one year! With their Italian language courses they offer also a program of social and cultural activities. BABILONIA is not just a language school but a truly Cultural Center open to both our International Students and the local community (Taormina residents and Italian visitors)! The Cultural Events that take place at BABILONIA represent an unique opportunity for International students to really feel part of the Italian community, to experience cultural exchanges with different italian cultural realities, to meet writers during book presentations, to enjoy art exhibitions during painting and photographs openings, to take part in a cooking class on Sicilian cuisine, to feel good during concerts in their school garden (The Gardens of Babylon). Obviously, all these events have been added to their regular weekly Social and Cultural Activity Program for their students only. The Babilonia Language School is housed in a Villa (Casa Silva) in the heart of Taormina: 200 meters away from the Greek Theatre along the beautiful steps of Via Timoleone. In the Villa the students enjoy 600 square meters of a botanical garden. There is a nice Bistrò which offers drinks and mediterranean snacks also to external visitors. Both the Villa and the garden are protected by the Sovrintendenza alle Belle Arti (the national Agency for the preservation of Art and Monuments). The school offers free WI-FI connection and some PCs available to all their students. – THE UNIVERSITY “Ca’Foscari” OF VENEZIA as authorized language centre for apprenticeship of ITALS Master for teachers of Italian as a foreign/second language. 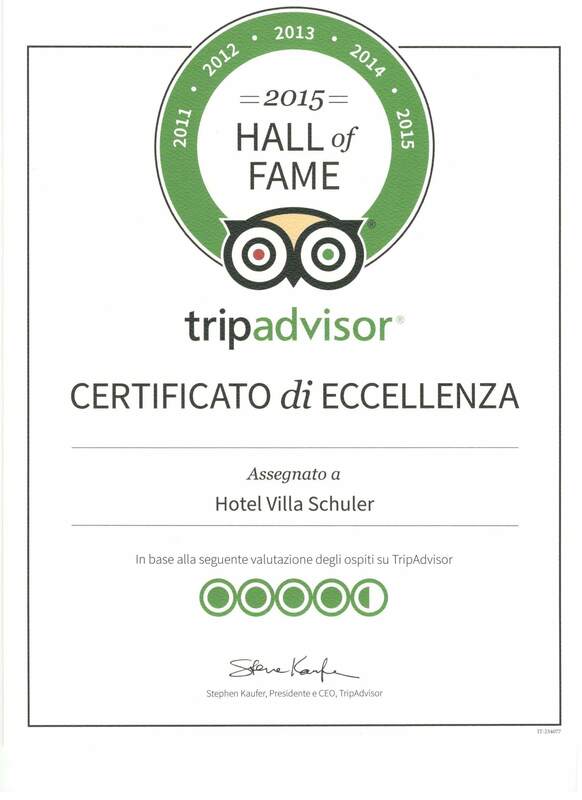 We would love to welcome you to the Hotel Villa Schuler and to our partner Italian language school in Taormina, Sicily, for an unforgettable cultural learning experience. The Babilonia Language School is at a convenient 4 minute walking distance from the Hotel Villa Schuler.